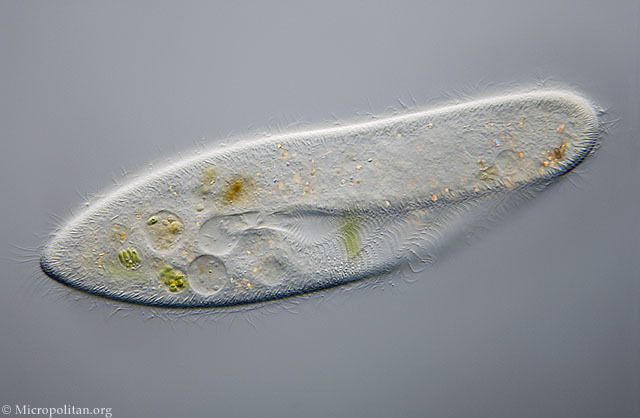 Paramecium caudatum, the 'slipper animalcule', is the most well-known ciliate. Ciliates are unicellular organisms that use cilia, short whip-like hairs, for locomotion as well as for feeding. Zoom in to see how this feeding works. This species can be 300 microns in length.